Music Web International: Recording of the Year 2007; BBC Music Magazine: outstanding. 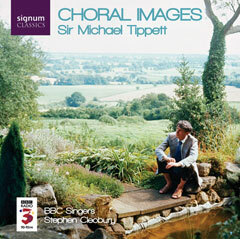 When Sir Michael Tippett first worked with the BBC Singers in 1944, the experience was such that he recalled nearly 50 years later that "It was to be the first of many such occasions when a composer's dreams were brought to fulfillment." Now under their Conductor Laureate, Stephen Cleobury, the present-day BBC Singers return the compliment with this programme of his works for choir, both unaccompanied and with organ.